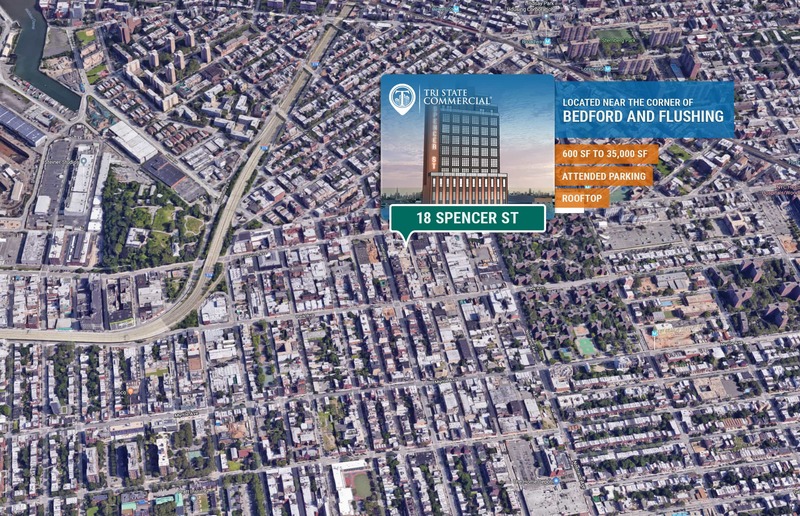 Brooklyn, NY: A brand new 35,000 RSF office building will sprout on the borderline of Bedford-Stuyvesant and Williamsburg. 18 Spencer Street is a 12-story, mixed-use development. 18 Spencer St provides a build-to-suit option for prospective tenants; there is also an opportunity for building branding as the entire structure is available. 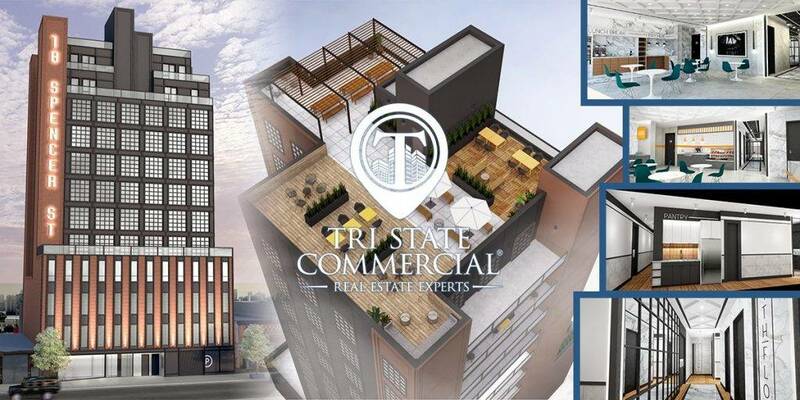 Brooklyn Brokers, Tri State Commercial Realty is the exclusive firm representing the development. Contact us today to talk about this exciting opportunity. The site sits near Flushing Avenue’s subway station, serviced by the G train and the B54 bus at Myrtle Av/Spencer St. The neighborhood is enriched with sung, mellow café’s, kosher comfort foods, and national tenants such as Starbucks, Apple Bank, 750 Myrtle Diner, Cheesy Kosher, and many more. Expected possession is Summer 2019.